Did Led Zeppelin steal key parts of their rock classic Stairway to Heaven from a lesser-known band? That's the question before a Los Angeles court Tuesday, when trial is scheduled to begin in a lawsuit against the British rockers. 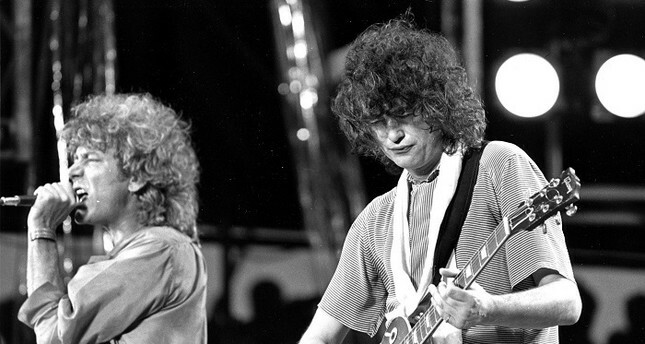 Lawyers for the estate of late guitarist and songwriter Randy Wolfe say Led Zeppelin swiped Stairway's iconic opening from Taurus, a 1968 song by Wolfe's band Spirit. Led Zeppelin guitarist Jimmy Page has called the claims "ridiculous." But a judge ruled that the two songs sound similar enough that a jury should decide the lawsuit, which was filed in 2014. At stake is a share of the royalties for Stairway to Heaven, which topped 562 million dollars, according to a 2008 estimate by Conde Nast Portfolio. Wolfe's estate lawyer, Francis Malofiy, said he would settle the suit for just 1 dollar in back damages - if Led Zeppelin gives posthumous songwriting credit to Wolfe, who drowned while rescuing his son in 1997. That acknowledgement could still be worth millions of dollars in future rights. Led Zeppelin have been accused of plagiarism before, and have settled out of court on claims they borrowed other musicians' work on their songs Babe I'm Gonna Leave You, Whole Lotta Love and Dazed and Confused. Just days before the trial was set to begin, Malofiy challenged a musicologist Led Zeppelin plans to present as an expert to defend their case. In court filings, Malofiy said Led Zeppelin had hired Lawrence Ferrara to evaluate Taurus in the past, but that the band's lawyers deliberately hid the prior connection. Malofiy asked the court to bar Ferrara's testimony and fine Led Zeppelin's attorneys for the breach.